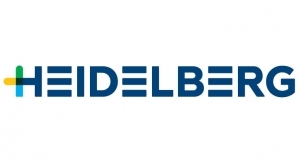 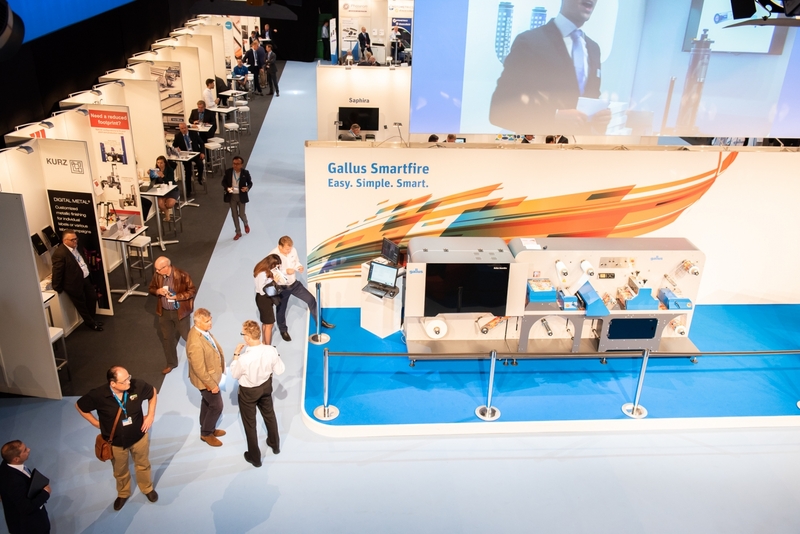 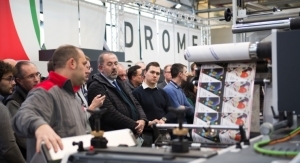 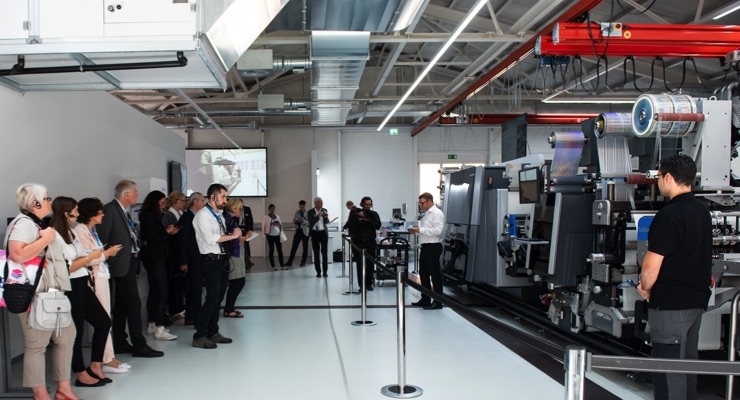 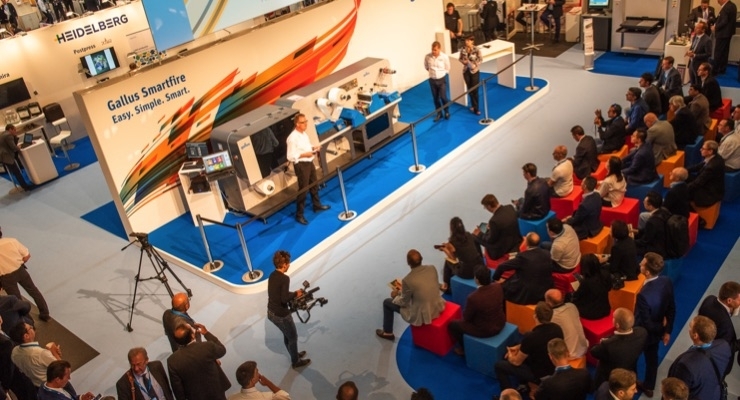 More than 800 visitors came to St. Gallen for education, press demos and the unveiling of the new Smartfire digital press. 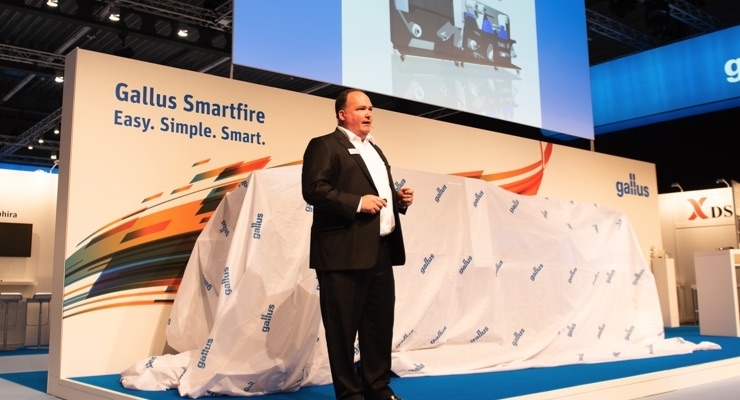 Michael Ring, Gallus VP, Digital Solutions, prior to revealing the Smartfire for the first time. 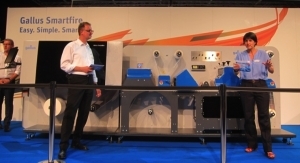 An overhead view of the Smartfire digital press demonstration. 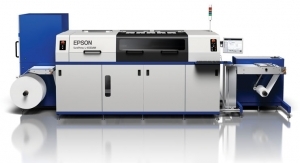 The Smartfire makes printing of ultra-short runs starting from a single unit possible. 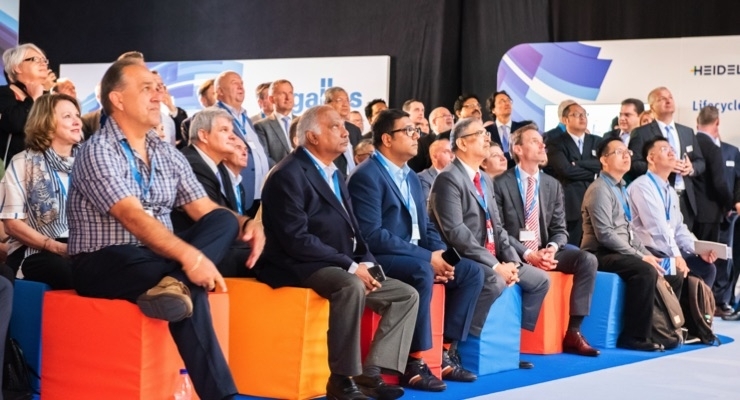 Innovation Days attendees focused on the Smartfire demo. 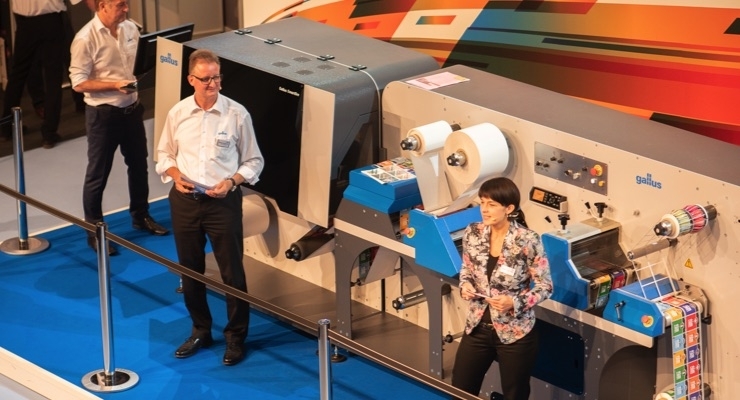 The Smartfire press is positioned as an affordable, entry-level press, ideal for first time digital adopters. 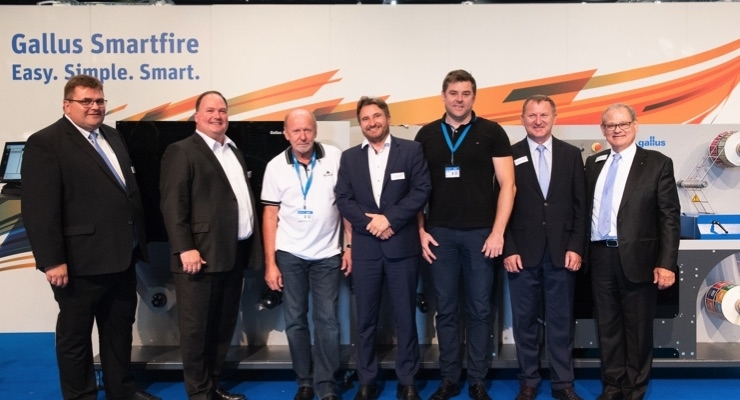 The Gallus leadership team stands before the newly unveiled Smartfire digital press. 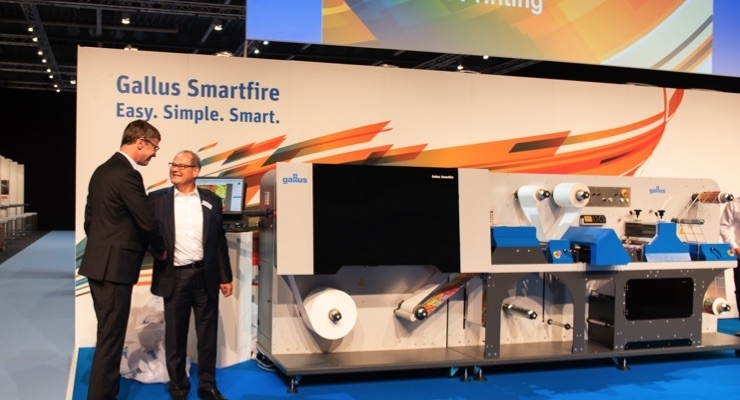 The Smartfire features an integrated inline converting module that includes lamination, a cutting plotter for individual diecutting contours and a semi rotary diecutter. 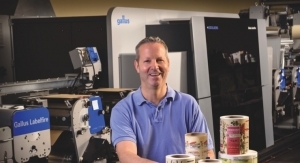 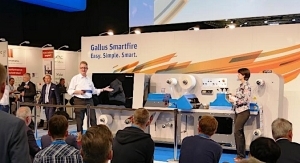 Ferdinand Rüesch (R) from Gallus Group discusses the benefits of the new Smartfire digital press. 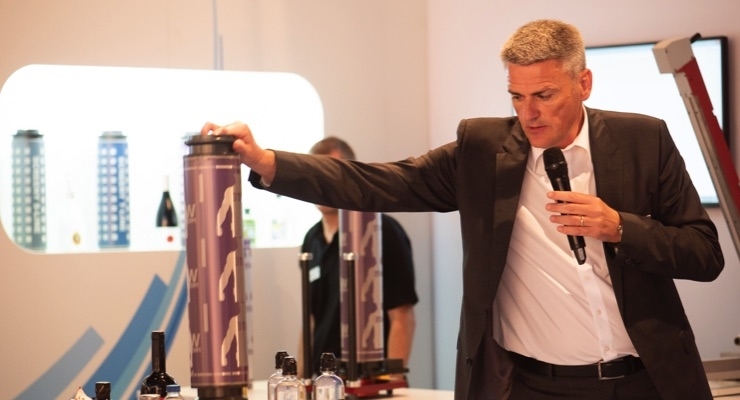 Holding the microphone is Niklas Olsson of Flint Group. 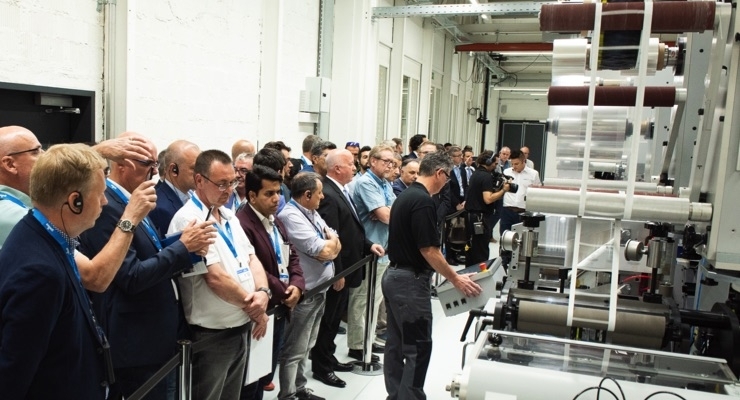 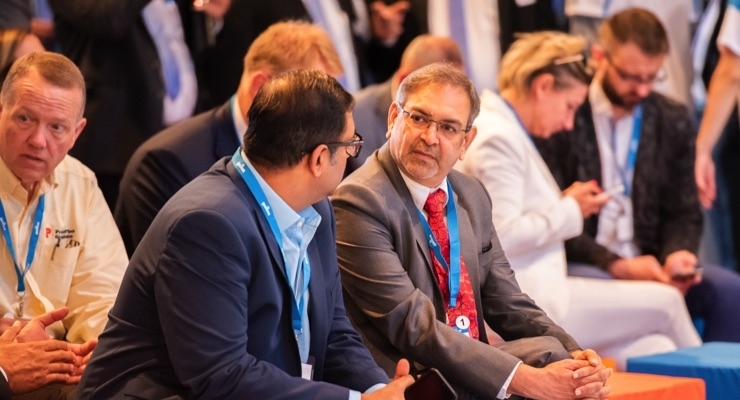 Label and packaging industry journalists from around the world joined L&NW in covering the event. 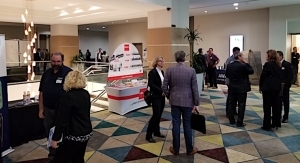 The event provided ample networking opportunities. 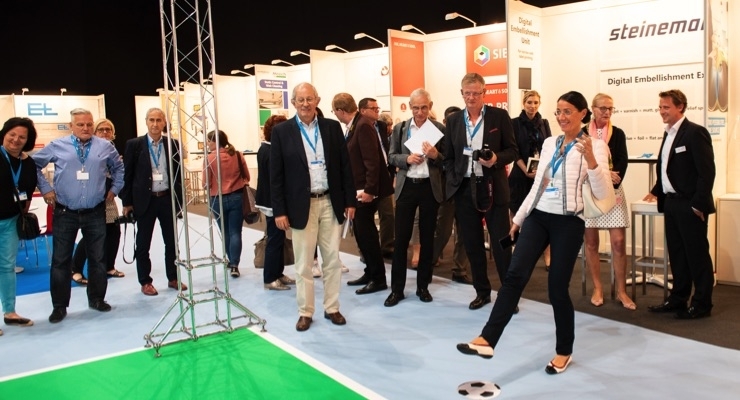 An Innovation Days visitor attempts a virtual penalty kick. 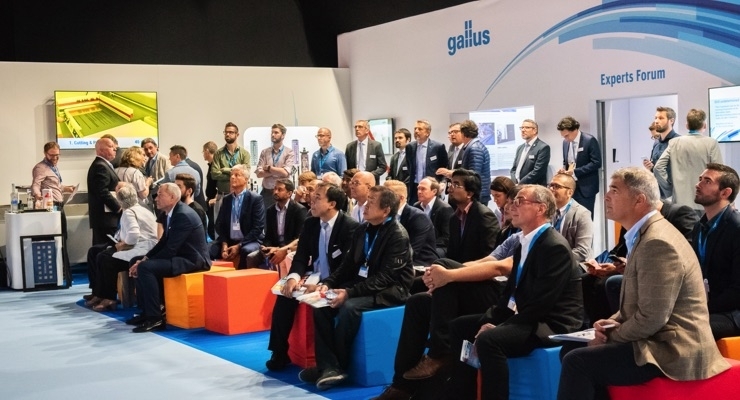 The benefits of printing with Gallus Screeny was another highlight of the event. 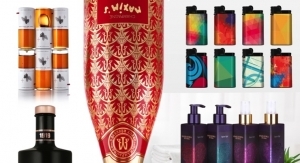 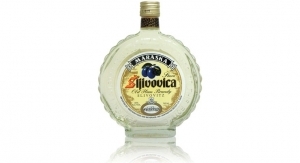 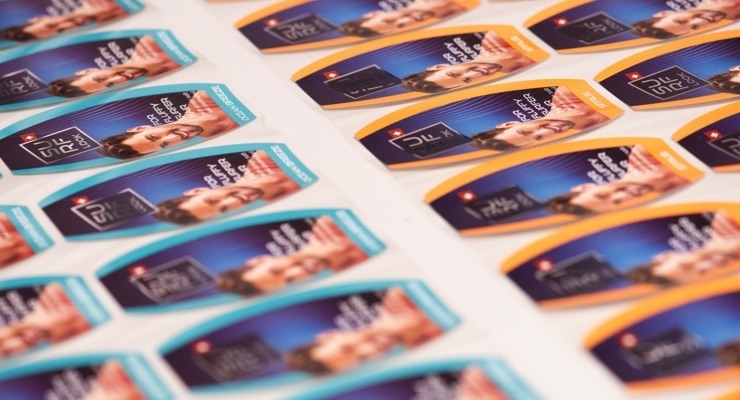 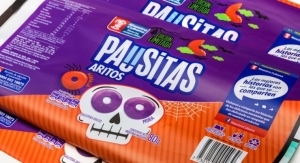 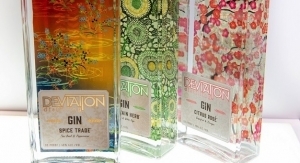 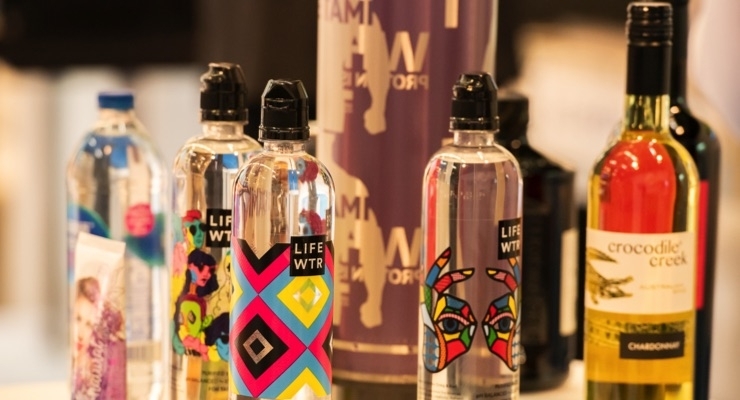 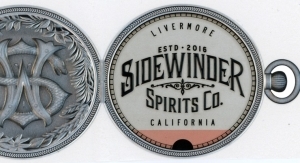 The Life Water labels were printed with Gallus Screeny technology. 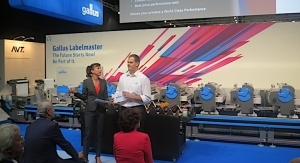 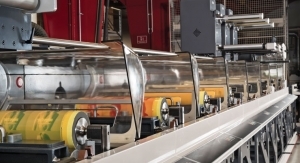 On the Gallus Labelmaster Advanced, a longitudinal and latitudinal register control was shown for the first time. 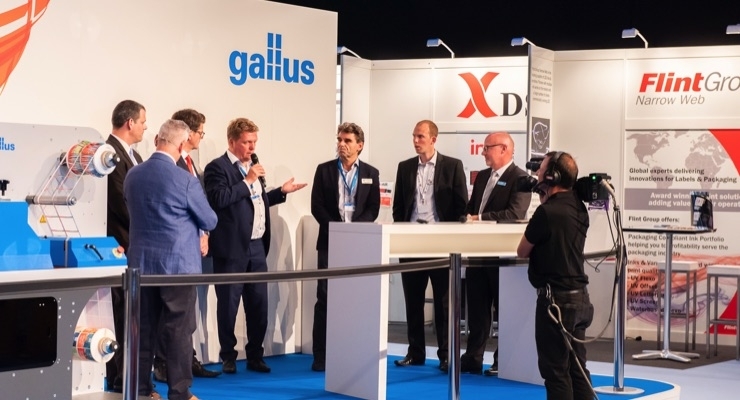 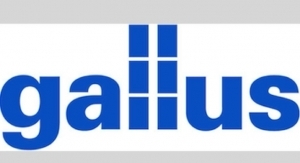 Gallus provided press demo translation in several languages for its guests, which came from all over the world. 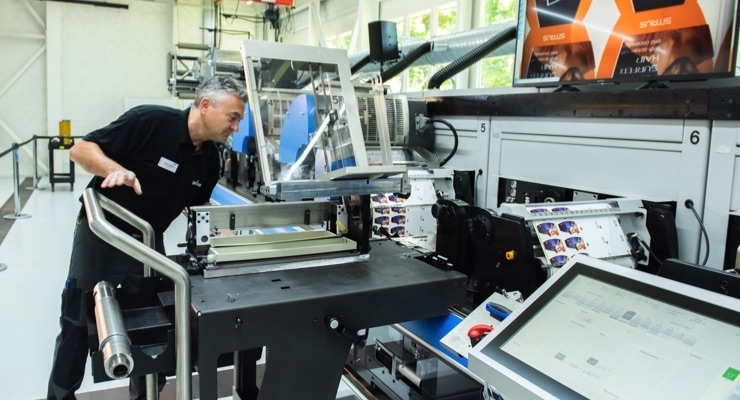 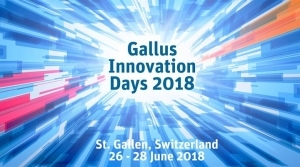 The Gallus Labelfire digital hybrid press was on display at Innovation Days. 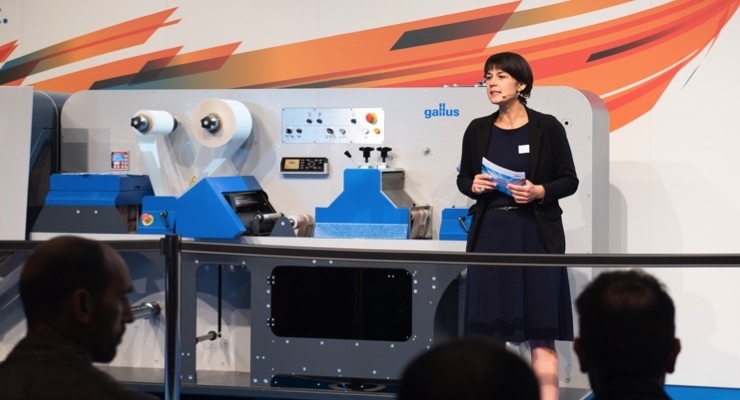 On the Gallus RCS 430, the visitors of the Gallus Innovation Days were able to see a flying imprint process. 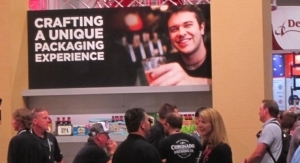 Several print samples were on display and available for the taking. 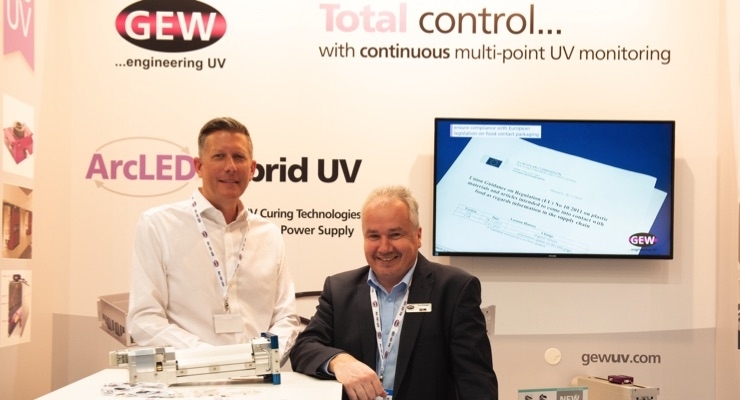 UV curing specialist GEW was among the many exhibitors at Innovation Days. 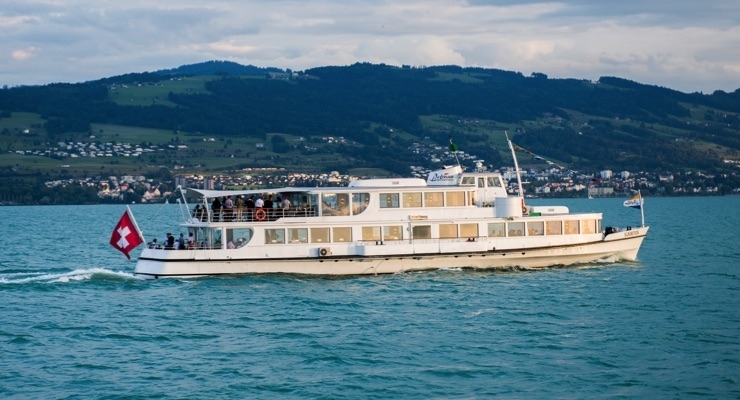 Attendees were treated to an evening boat ride and dinner on Lake Constance, the body of water shared by Switzerland, Austria and Germany. 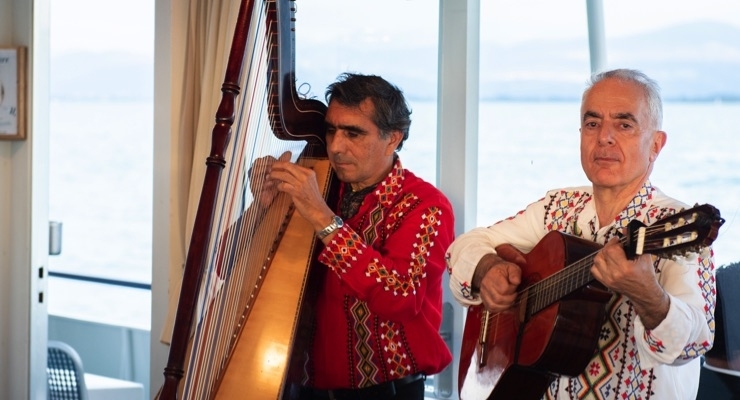 Musicians entertained Innovation Days visitors on Lake Constance. 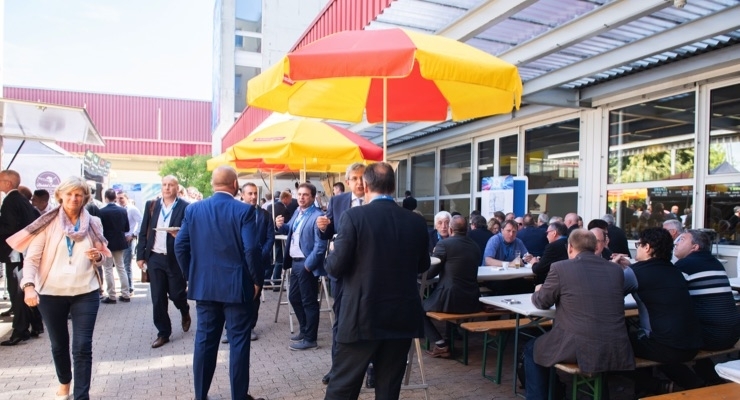 Gourmet food trucks provided lunch for Innovation Days guests. 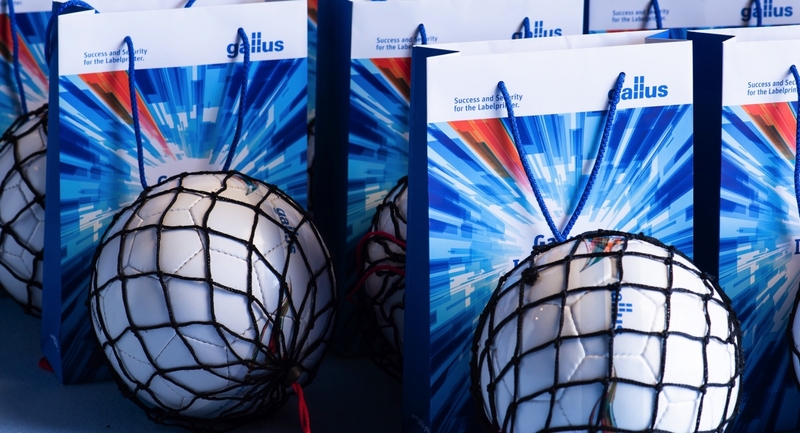 In the spirit of the World Cup, Innovation Days visitors left with souvenir footballs. 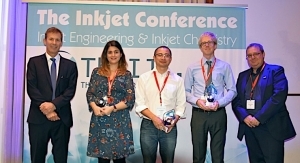 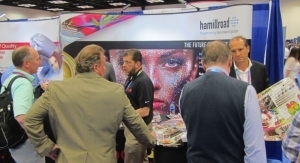 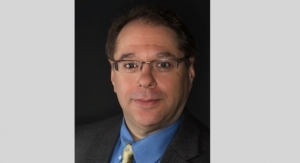 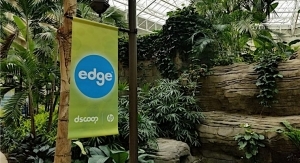 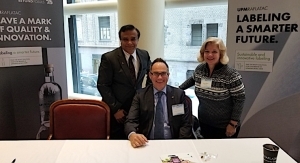 The FTA events took place in Indianapolis, IN, USA from May 6-9. 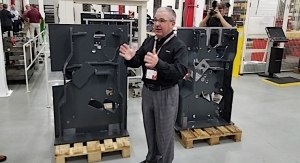 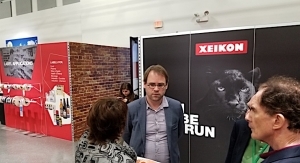 Attendees were able to visit numerous Xeikon partners and sit in on multiple presentations during the May 15-17 event. 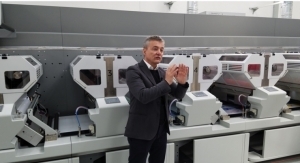 The International Sleeve Label Conference also included a trip to the HP Graphics Experience Center in Alpharetta, GA, USA.